In the midst of the #MeToo movement, the wave of proposed and actual changes to state sexual harassment laws is continuing. Earlier this year, we posted on a proposed change to Minnesota’s sexual harassment law that did not pass, but, as proposed, was intended to lower the legal standard for proving actionable “sexual harassment” in Minnesota. Now, California is pursuing a similar goal. 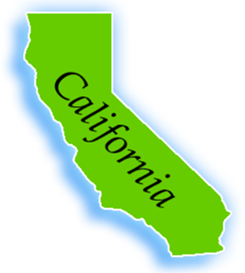 Late last month, the California (CA) legislature passed a bill, SB 1300, that could have a significant impact on the ways in which employers need to seek to prevent and to respond to potential sexual harassment and discrimination in CA workplaces. Assuming that Governor Jerry Brown signs the bill by September 30, 2018, SB 1300 will amend California’s harassment and discrimination laws in several ways. The CA legislature expressly notes its approval of Supreme Court Justice Ruth Ginsburg’s legal standard for “sexual harassment” set forth in her concurring opinion in Harris v. Forklift Systems, 510 U.S. 17 (1993). According to Justice Ginsburg, to prove “sexual harassment,” a plaintiff only needs to show that “a reasonable person subjected to the discriminatory conduct would find, as the plaintiff did, that the harassment so altered working conditions as to make it more difficult to do the job.” This standard is lower than the federal Title VII “severe or pervasive” standard and allows a plaintiff to prevail even if the alleged conduct did not result in a decline in the plaintiff’s performance. The CA legislature also expresses its sentiment that “[h]arassment cases are rarely appropriate for disposition on summary judgment.” This means that employers facing harassment lawsuits under CA law may find themselves having to go to trial more often, even in cases where the claim seems thin, or pay higher settlements to avoid the risks associated with trial. Second, SB 1300 adds a section to the CA state law that encourages employers to provide bystander intervention training to help fellow employees identify problematic behavior and motivate them to take action. Although the state law only requires harassment training for supervisory employees, it is not difficult to imagine scenarios where plaintiffs try to use evidence of an employer’s failure to provide bystander intervention training to paint the employer in a negative light and advance their claim. Third, SB 1300 restricts an employer’s ability to get releases of discrimination and harassment claims and/or nondisparagement agreements from job candidates and employees. To obtain an enforceable release or nondisparagement agreement, the employer will have to demonstrate that: (1) the agreement was entered into voluntarily and in exchange for something of value to the employee other than a bonus, raise, a job offer, or continued employment alone; and (2) that the employer informed the job candidate or employee that he/she could retain an attorney to negotiate on his/her behalf. This second requirement is significant, because encouraging the use of legal counsel increases the likelihood that no agreement will be reached or that any agreement will require more money or other concessions from the employer. Assuming Governor Brown signs SB 1300 into law, employers with CA employees can expect that they will need to do more training and have good prevention and response policies and systems in place. In addition, under CA law, employers will face more of an uphill battle in defending against harassment claims. It will, therefore, be more important than ever to consult legal counsel in the event of a CA-based harassment or discrimination complaint.